What is it, and how do you do it? Before getting started. Let's define what it means to have an inbound marketing strategy. A successful inbound marketing strategy, also known as an inbound strategy, focuses on using content to attract, engage, and delight relevant website visitors and tell a story that educates and inspires them to make a transformation — putting their interest and needs above your bottom line. The focus of an inbound strategy is on transform; Yes, you want to teach them something, but doing that alone is not enough. To really help them transform you need to help them apply what they’re learning to make the experience a meaningful one. When done correctly this builds trust, and if someone trusts you they’re more likely to do business with you when they’re ready to make a purchasing decision. How do you create an inbound marketing strategy? My wife, Ariele, and I are digital nomads, remote workers who are able to provide value from anywhere while staying connected. 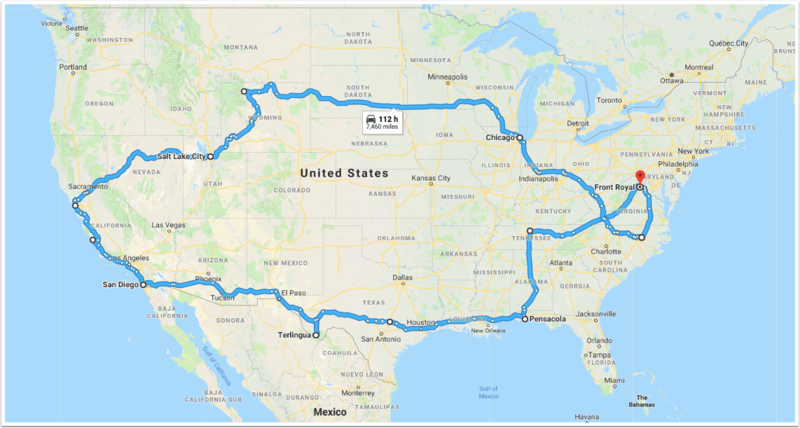 Over the past two years, we‘ve traveled over 40,000 miles in our 22’ Airstream Bambi Sport while working full time from the road — not taking time off from work to live our dream. I’ve been dreaming of this life since I was a kid: the ability to travel while working at the same time. This dream became a reality in 2016 with our Ford F250 Super Duty work truck, George. And as you can see, he’s utilitarian. This image here is when Ariele and I first moved out of our Boston apartment. We had an initial downsizing goal of this — if it didn’t fit in George, it wasn’t coming with us. I know we’re not the only ones interested in living this lifestyle. 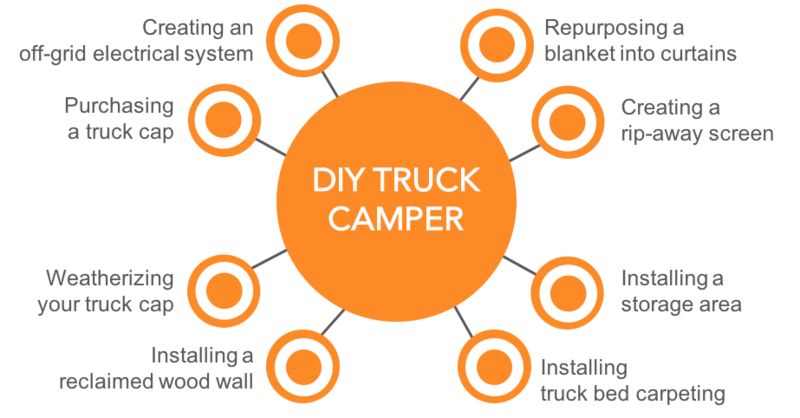 We wanted to do our part by helping other like-minded individuals by creating a step-by-step guide on how to convert a truck into a functional living space. 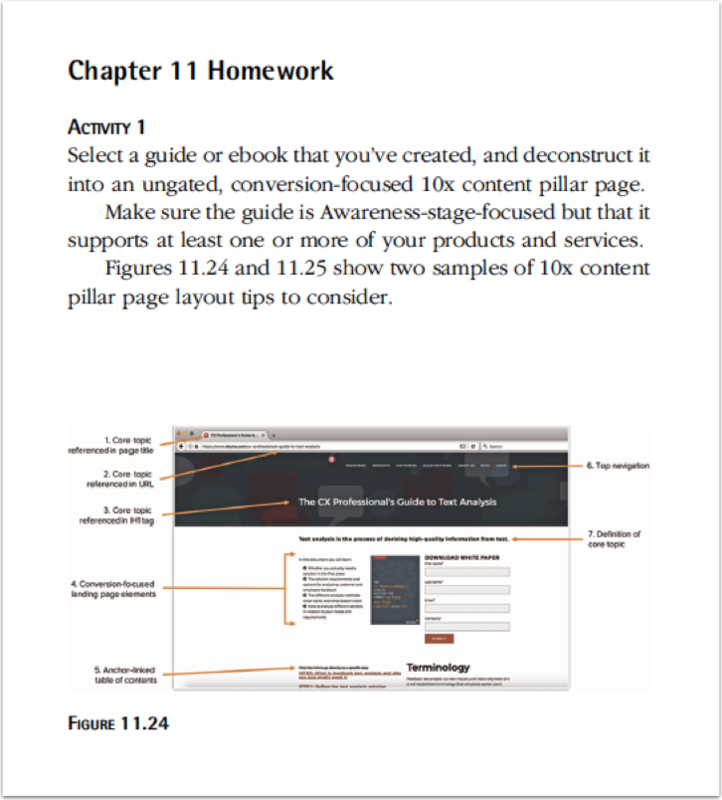 This guide is 78-pages long and is chocked full of advice and tips on how to complete the conversion even if you live in a busy city and are not exactly a handy person. I converted George incognito on the city streets of Boston, Massachusetts. If you’re quiet and stay out of sight, most won’t figure there’s a person hanging out inside the back of a truck parked on a busy street. It took me about two months to complete the conversion. Now, keep in mind, I had a fulltime job at HubSpot when I did this experiment. So in order to make the comprehensive guide a reality I needed to find a way to create it with minimal bandwidth. I did an experiment where I pieced the guide together by creating a blog calendar of related content. Breaking down something large and focusing on the steps makes the process more manageable and less overwhelming. First, I identified a topic I wanted to write about — truck camper. Now that’s a pretty broad topic, one that could be hard to rank for on search engines, so I expanded it and brought more context to what I was intending to teach, a do-it-yourself (or DIY) project. So I went with “DIY truck camper”. Next, I made a list of projects I’d need to complete and that I’d be able to write in-depth blog posts about, such as weatherizing a truck cap. Over the course of eight weeks, I focused my time and energy on creating meaningful, in-depth blog posts, which I then repurposed into a video series. I used all of this content to create the ultimate comprehensive DIYers guide. Once the guide was complete we created a landing page where people could access it. After a few months, we saw an initial lift in traffic, but not what we had hoped, especially with the time and effort we put into the content. We knew we had something valuable to offer our potential audience, we just needed to find a way to get it out there. In an effort to boost performance, I did another experiment where I deconstructed the guide into a comprehensive educational website page and offered the guide as a supplemental packaged resource. This way people coming to the page could view the content as opposed to being forced to give their email address first — solving for their experience. Then to help the visitor transform, I inserted a practical checklist at the end of the guide with all the materials they needed to purchase to complete the truck camper conversion. I could have used information like this during my build, which is why I added this to the guide to give it more practical value. That’s how I solved for the human experience — creating value before trying to extract it. But what about search engines? Did this experiment increase awareness of our content and attract more people to our site? Over the next 12 months, this page received over 16,500 website visits from search engines. 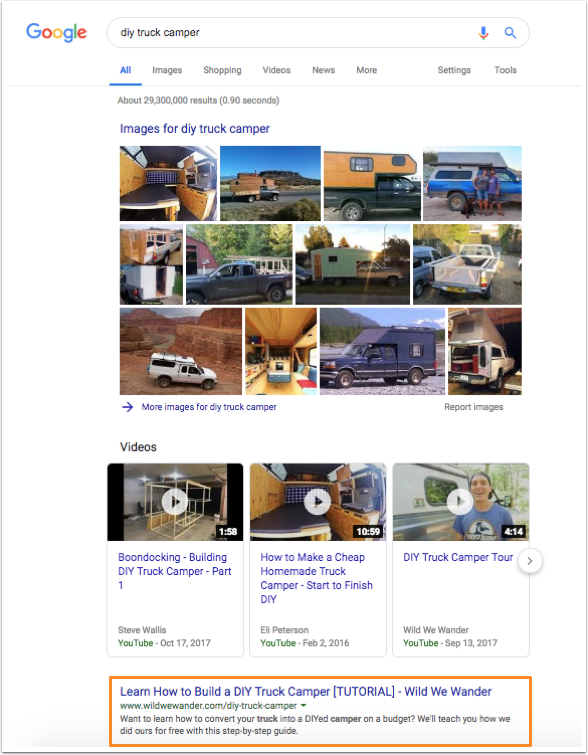 We found that we ranked for a list of other terms, ones we didn’t even include specifically on the page, like “converted truck camper”. The reason why that’s important is that search engines like Google are much smarter nowadays. 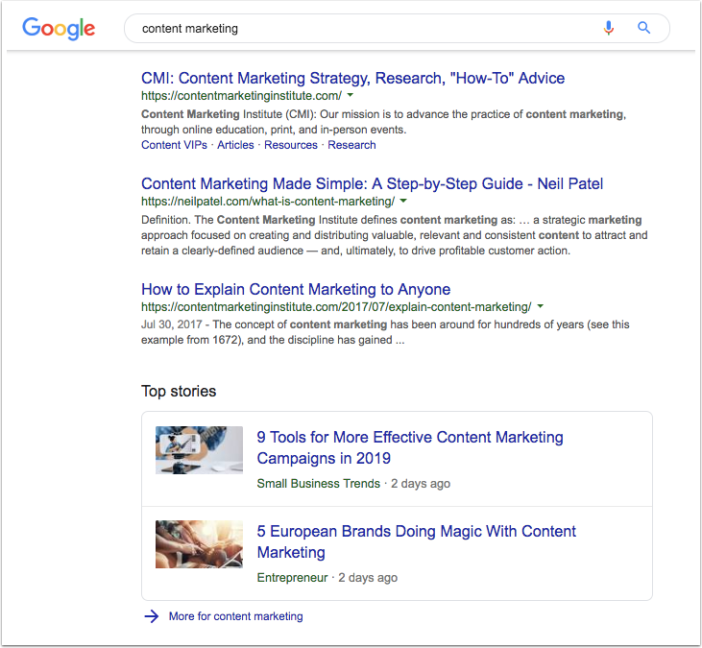 If the content you create provides value and matches the intent of a searcher’s query, then it’s possible you’ll rank for other related terms. In fact, the average first page ranking will also rank well for about 1,000 other relevant keywords. Creating a long-term inbound strategy is like trying to climb a steep mountain. Imagine this, you’re at the base of this mountain and your goal is to get to the top. But the top of the mountain seems so far away, you can barely see it. 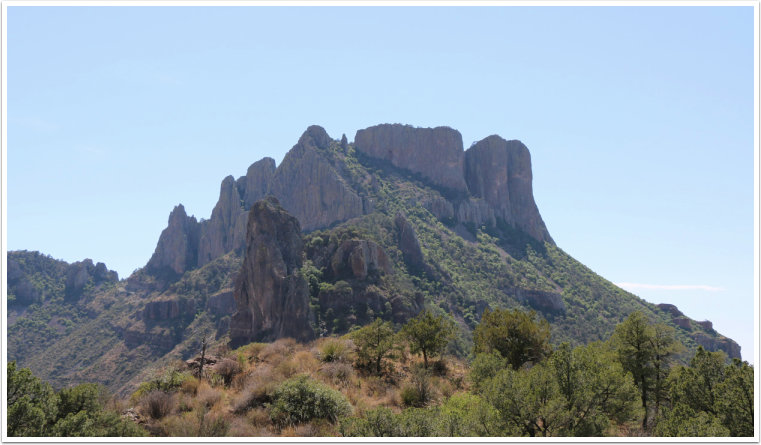 You don’t see a clearly defined path and you’ve never climbed a mountain like this before, so the challenge of reaching the summit is a daunting and scary task, to say the least. But you know what, others before you have trailblazed their climb toward reaching the summit. And if they can do it, then you sure as hell can. When climbing any mountain, whether it’s literal or metaphorical, focus on the steps not how steep it is. Focusing on the steps will make your climb more manageable and less overwhelming. To help us understand this better, let’s refer to chess grandmaster, Maurice Ashley. Ashley gave a TED talk titled, Working Backwards to Solve Problems. In his TED talk, Ashley talks about the idea of retrograde analysis. Retrograde analysis is a technique chess players use to determine which moves were played leading up to a given position. An experienced chess player who’s mastered this technique is able to create a strategy during a match by mapping out their next series of moves of how they’re going to beat their opponent before their opponent even knows it. 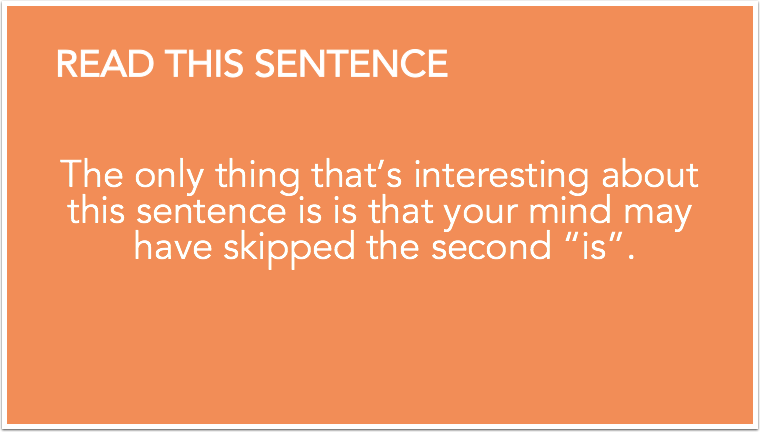 I want you to take five seconds and read this sentence. Notice anything? It’s possible the first time you read this sentence your mind skipped the second “is”. But, if you read the sentence backward, you would’ve noticed the “is” immediately. So, not only does working backward help solve problems, but it prevents them from happening in the first place. Preventing problems from happening in the first place is an important concept for an inbound strategist to master because it could mean the difference between the success or failure of the projects you’re working on and held accountable for. 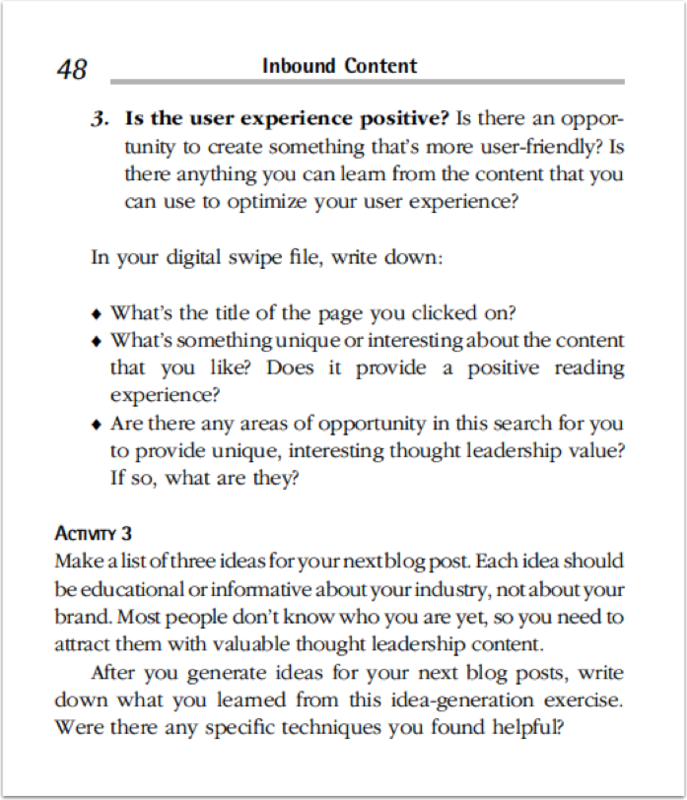 An inbound strategist can circumvent their issues and roadblocks by reverse engineering their content goals. Reverse engineering content is the process of working backward to identify a series of steps needed to launch a successful content initiative. In order to create a successful long-term inbound strategy, you need to have a vision. Having a vision of what success looks like gives you the opportunity to reverse engineer your plan down to a series of campaign initiatives. What might this look like in action? 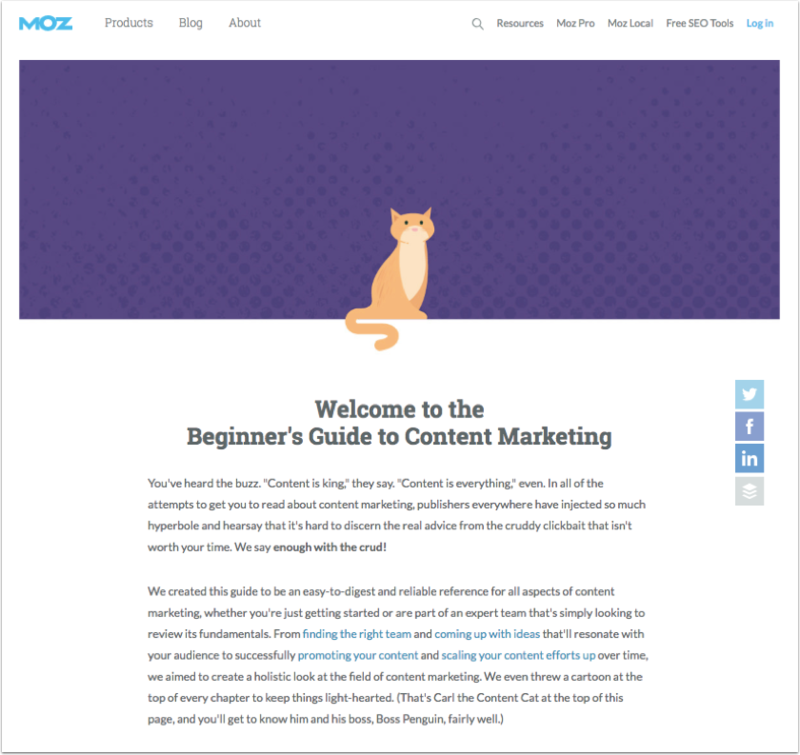 This resource page serves as the hub for nine long-form, in-depth educational website pages that bring context to content marketing, like "content promotion". The goal is to rank high on the first page of Google for each contextual term. Notice how the “content promotion” educational page ranks number one on Google for its contextual term. Because this page, as well as the other eight pages a part of the cluster, offers a table of contents which links all the pages together, they all get a boost in authority from this page’s performance. Creating a long-term inbound strategy like this could feel like trying to climb a steep mountain. So, let’s dissect this example by reverse engineering how your brand can create a plan like this in three steps. To start, determine a broad topic your brand wants to be known for and build authority around. Broad topics live at the summit of the mountain. The reason they live at the top is to create alignment for your ongoing content efforts — if your initiatives don’t align with these broad topics, then you need to question why you’re spending time on them. Your broad topics should have high monthly search volume and are generally one to three words in length. Ideally, you’d love for your business to rank for each broad topic, but often times it’s a stretch unless you have a strategy to do so (which we’ll get into further in the next section). When doing research on your broad topics, consider going directly to the source to learn more, Google. You can use a free tool like the Keywords Everywhere plugin to determine monthly search volume. For example, when using the Keywords Everywhere plugin, notice how Moz’s broad topic, “content marketing,” has 90,500 monthly searches. 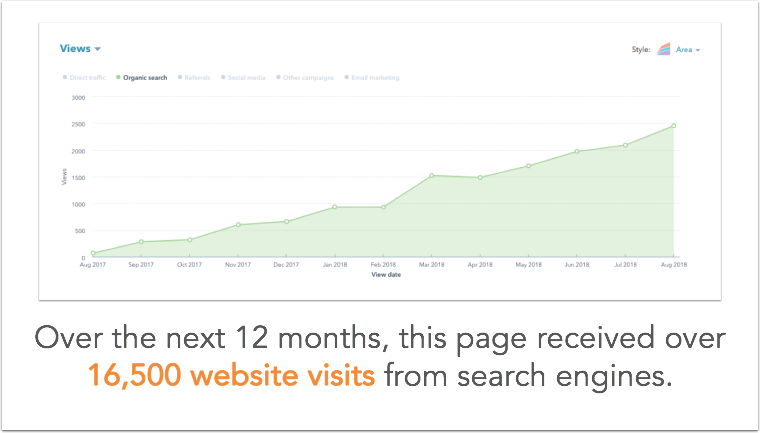 This is a great example of a broad topic with high monthly search volume that can be dug into and explained at a deeper level. Start with your audience: What are their search habits? What questions do they have? What are they looking to learn more about? Make sure the broad topics you choose to create education around align with and support the products and services your business offers. Remember, the goal is to identify a broad topic with high monthly search volume. That’s an important part of the formula because you want to make sure there’s enough monthly search volume to justify your content creation efforts. 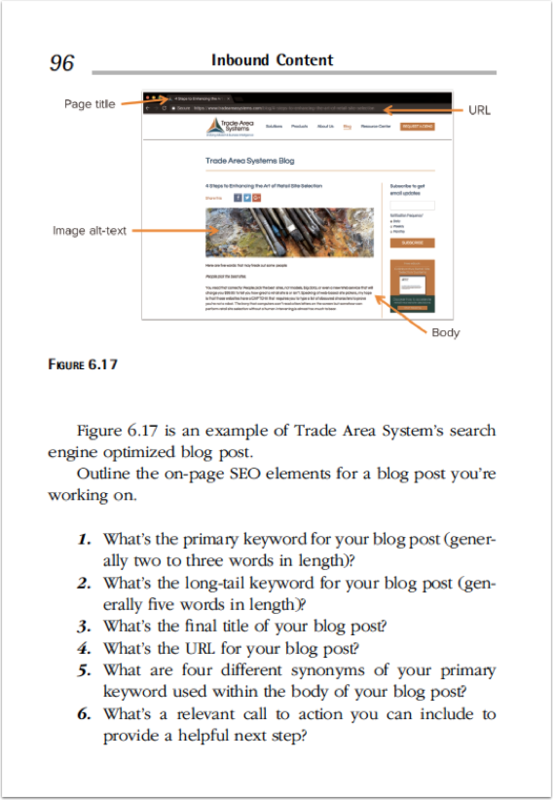 Identify contextual terms in support of your broad topic. A broad topic casts a wide net because there’s no context to what the searcher might be looking for. When you support a broad topic with context you’re making it more descriptive, which solves for searcher intent. When done correctly, a contextual term is semantically related to a broad topic and offers enough monthly searches to justify your content creation time. 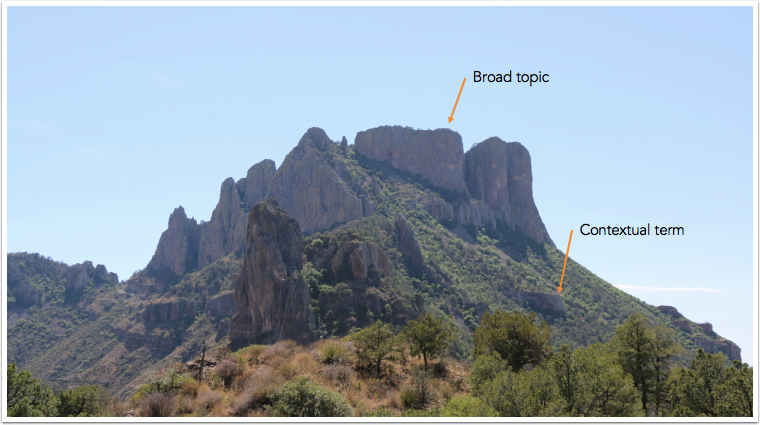 Contextual terms are about halfway up the mountain you’re trying to climb. In contrast with the broad topic you chose, your goal is to actually rank on Google for these terms because they’re more within reach. Ranking for your contextual terms first gives you a fighting chance of achieving visibility for your broad topic. But it’s about climbing the mountain in stages. Contextual terms are generally two to six words in length. You can perform research on Google to find potential contextual terms with Google’s autocomplete and related searches function. Google’s autocomplete function provides suggestions to users as they enter their search query into the box. 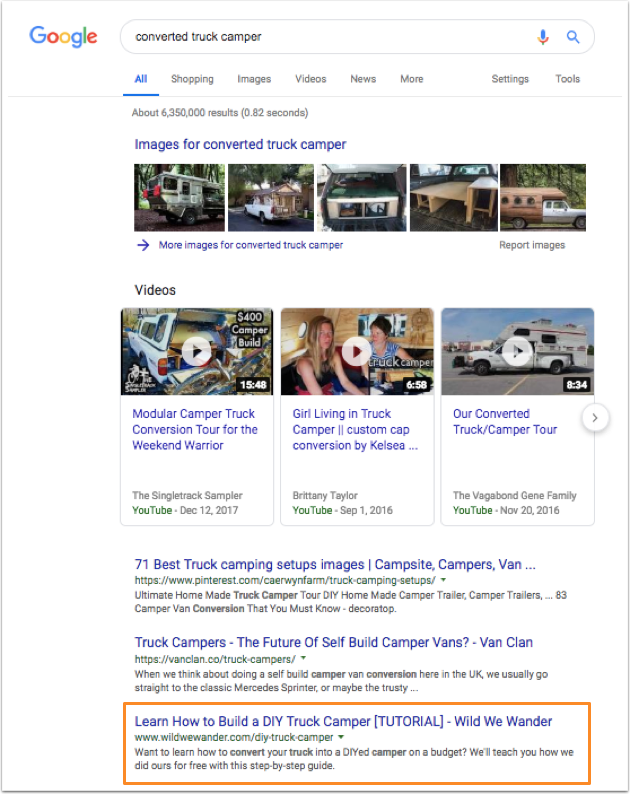 After you perform a search query, Google will provide a list of searches related to your term in the related searches section at the bottom of the page. Another option is doing research on the first page of Google. You can get a lot of ideas for contextual terms just by clicking through the listings that Google decided to rank and research the content. Is it up to date? What’s the searchers intent? How could it be improved? And once you finish researching a web page, click the back button to go back to the search engine result page and check out Google’s “people also search for” text box. These are specific queries that people used before clicking on the listing you researched. When performing research on Google with the Keywords Everywhere plugin, take the time to exhaust your options. For example, notice how “content marketing promotion” has 30 monthly searches. 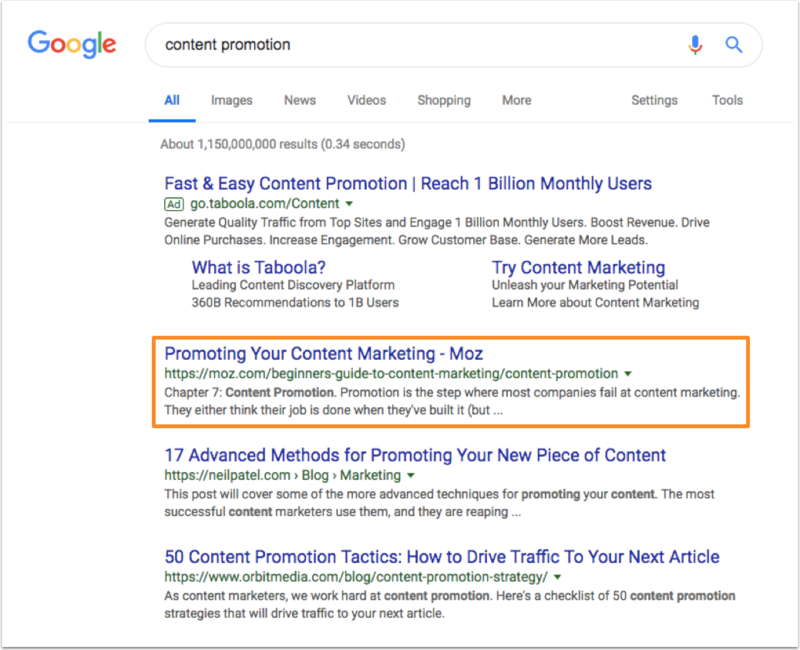 But when you dig in deeper you see that “content promotion” is a similar contextual term, but offers more monthly searches at 3,400. Keep in mind, the more monthly searches a term has, the harder it will be to rank for. When identifying contextual terms, don’t over think the research process so much so that it keeps you from getting started. Because remember, the average first page ranking will also rank well for about 1,000 other relevant keywords. If you are able to rank for one contextual term, then chances are you’ll rank for a series of other synonyms, too. 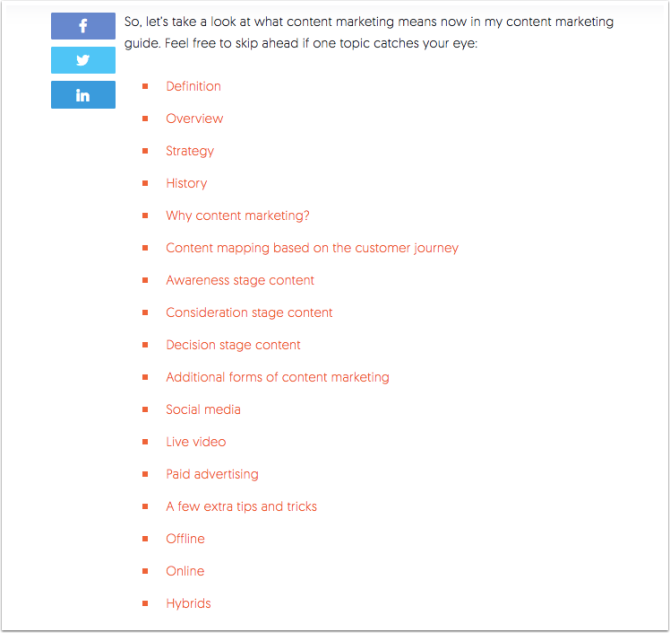 Here’s a list of contextualized terms Moz identified in support of their broad topic, “content marketing”. Put these contextualized terms together and you have a comprehensive overview of their broad topic. If someone was looking to become an effective content marketer, then this would be a helpful starting place. I want to say this one more time before moving on, the goal with each contextual term is to create a comprehensive educational website page with the intention of getting it ranking on the first page of Google. Going back to our mountain analogy, Moz has “content marketing” at the top. This is one of their key broad topics with high monthly search volume that they’re using to align a long-term inbound strategy. The plan is made up of multiple contextualized terms, like content promotion. 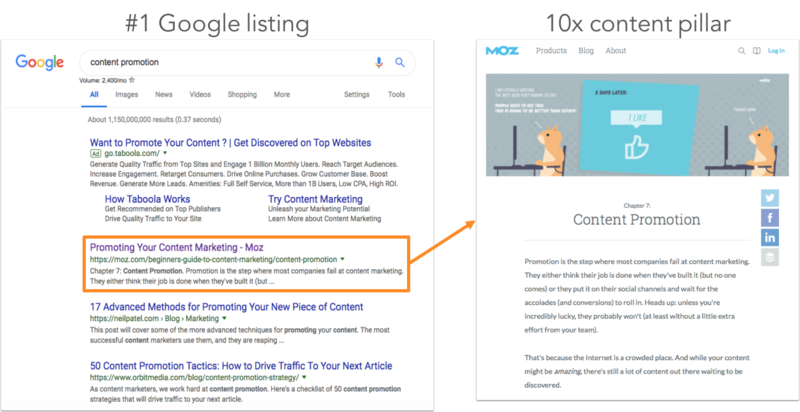 Identifying these contextualized terms is important because they’re semantically related to ”content marketing,” but aren’t nearly as difficult to rank for (or as steep of a climb). The last step is to create an intention roadmap of how you’re going to connect everything together in a practical way to form the ultimate transformation experience — something you’ll be proud of and your audience will love to engage with as well as share with their network. 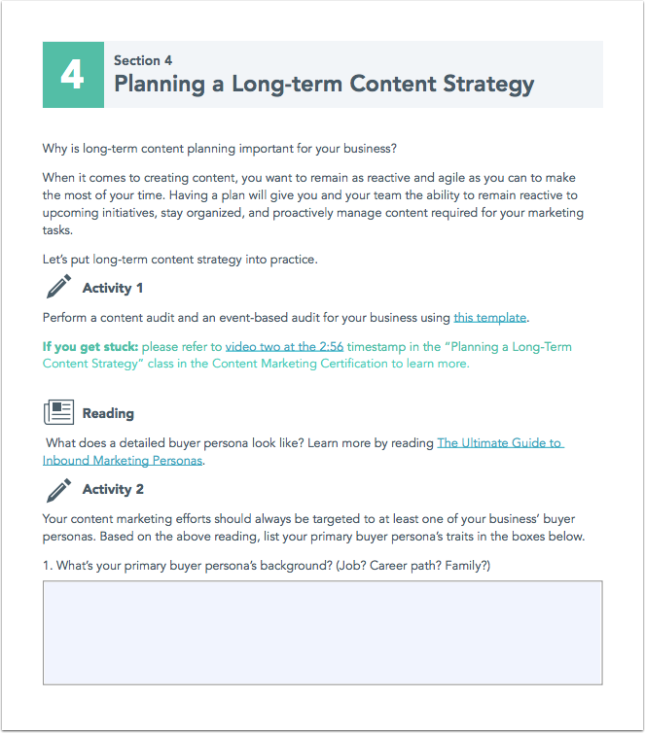 Now that you’ve outlined the high-level requirements for your long-term inbound strategy, think about a resource for your broad topic that ties all of the pages together in a helpful, practical way. Here’s how you do it. You’re the subject matter expert when it comes to what you’re trying to teach your audience. And your audience wants to learn, apply, and transform, but they won’t if they’re overwhelmed. It’s up to you to show them how to do it in bite-sized chunks. Imagine what an effective practical offer looks like, then reverse engineer it with prescriptive exercises needed to complete that transformation. 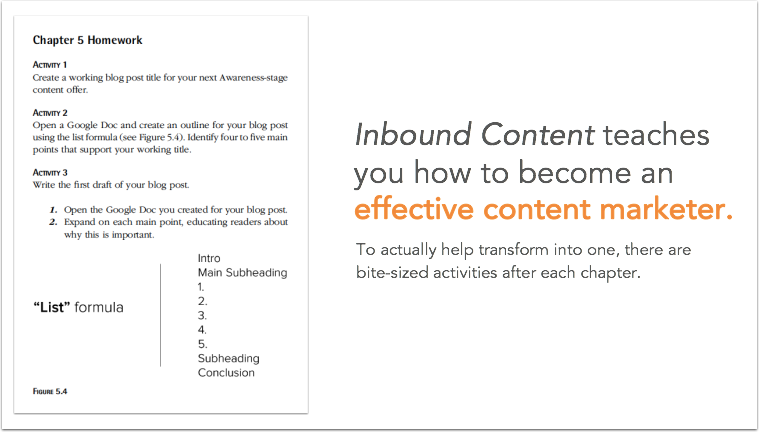 For example, my first book, Inbound Content, teaches how to become an effective content marketer. 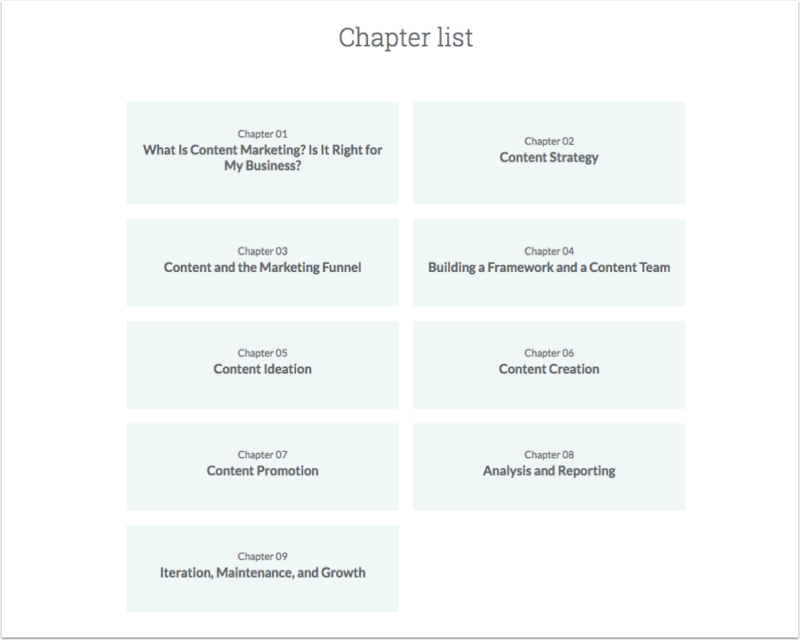 But to actually help transform into one, there are bite-sized activities after each chapter for the reader to complete and by the end of the book equal a content marketing transformation. Which can be used to build a comprehensive educational website page. Skipping one of these steps along the way could confuse or overwhelm the reader, which could lead to them not completing their content marketing transformation. 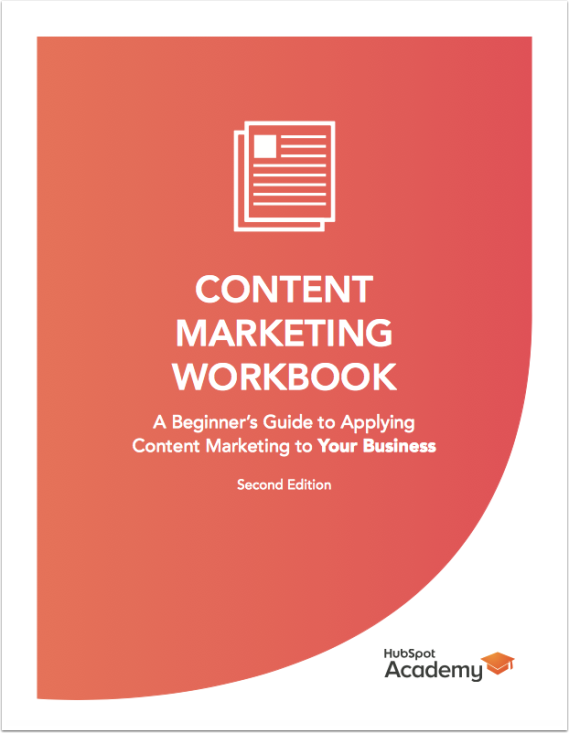 For example, before I published Inbound Content, I created the Content Marketing Workbook, which is the supplemental practical resource for HubSpot's Content Marketing Certification Course. 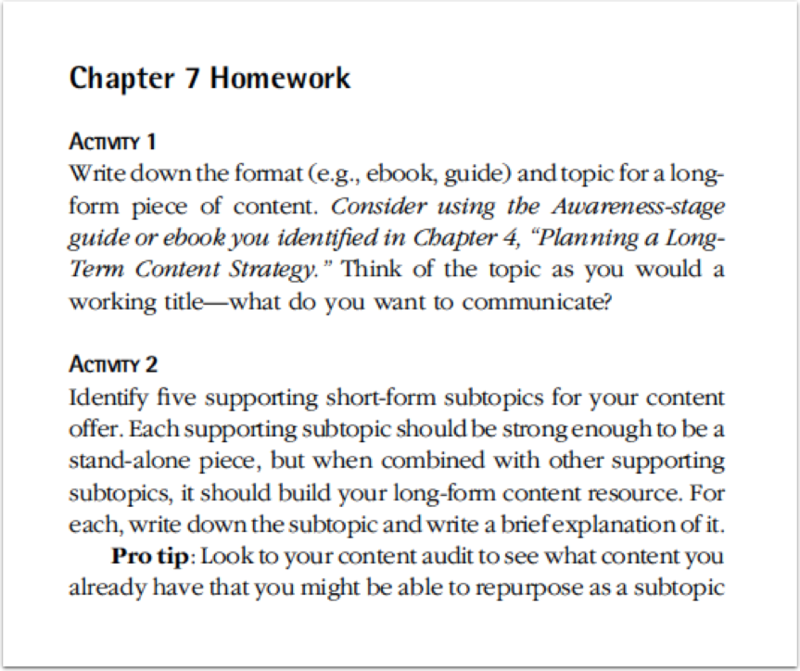 Each section of the workbook offers one to two paragraphs of text with practical exercises and recommended readings from other sites. This is not nearly as robust or practical as Inbound Content, which published 15 months later. It took me time to update and expand the content I was working on, and I wanted to give it the care and attention it deserved. Create value in the near term, but keep your long-term goals in mind and make consistent progress towards them. You learned what broad topic is and how to identify one for your business. And you learned how to outline a practical offer that ties everything together to create the ultimate transformational experience for your audience. Remember, this will most likely evolve over time, but you can launch this in the near term as a lightweight practical worksheet that can be updated and expanded once your entire topic cluster is complete. At this point, you may be asking yourself, "this is all great, but what should I do next to create my business's inbound marketing strategy?" In 2017, HubSpot Academy and I went on a cross-country workshop roadshow where we educated and inspired people to create effective inbound strategy plans. 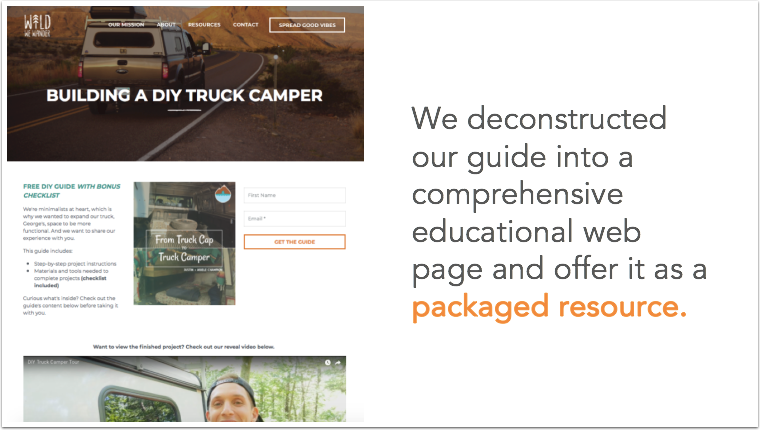 Somewhere between California and Virginia, I expanded lessons from HubSpot Academy's Content Marketing Certification and paired it with experiments I'd been conducting from the road, and that's where Inbound Content was born. 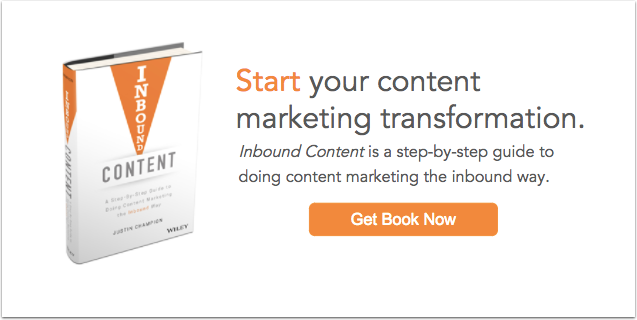 Inbound Content is a step-by-step guide to doing content marketing the inbound way. It teaches readers how their content should attract the right people to their site, convert those people into leads, and nurture and help close them into customers. If your goal is to create an effective inbound marketing strategy for your business, then consider this book your textbook. 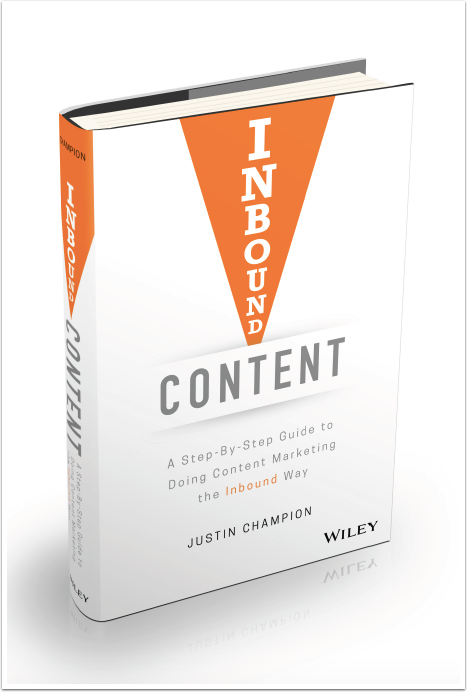 Get your copy of Inbound Content by clicking this link. "Content marketing has come a long way since I started writing the very first book on the subject way back in 2003 (about a century ago in Internet years). While the overall strategy of creating valuable information to educate and inform buyers and grow business hasn’t changed since then, the tactics have become increasingly complicated. Fortunately, we now have Justin’s guide to learn the basics on getting started right away with a content program for your business." David Meerman Scott, marketing strategist, entrepreneur, HubSpot Advisory Board member, and bestselling author of ten books including "The New Rules of Marketing and PR"